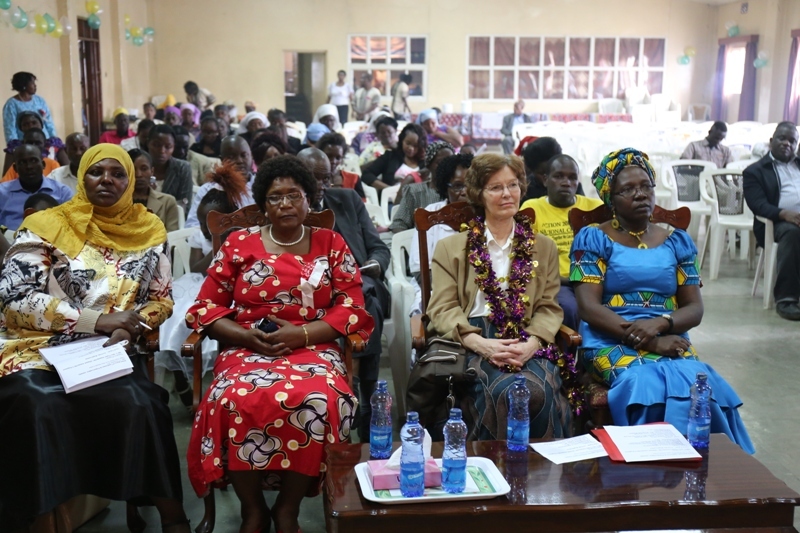 By WFWP Kenya: The 23rd Anniversary and Women Leaders` Assembly was held on November 21, 2015 in Peace House, Nairobi , Kenya with the theme “Empowering Women-Empowering Humanity: Picture it!”. 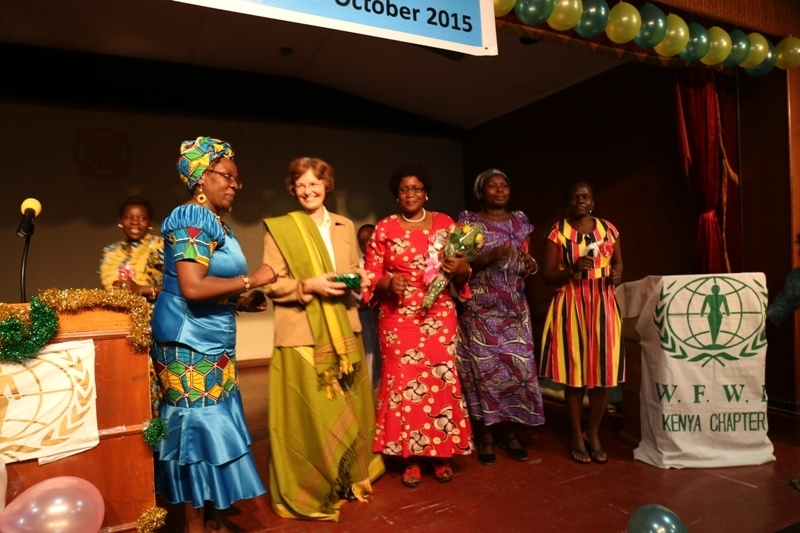 This is the same theme of the International Day of Women 2015. 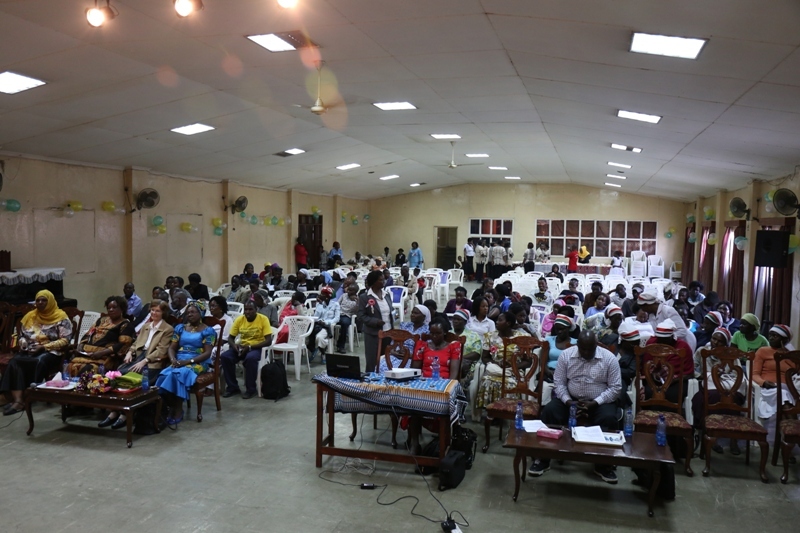 This event attended by women leaders from different NGOs, CBOs, churches and the civil society. 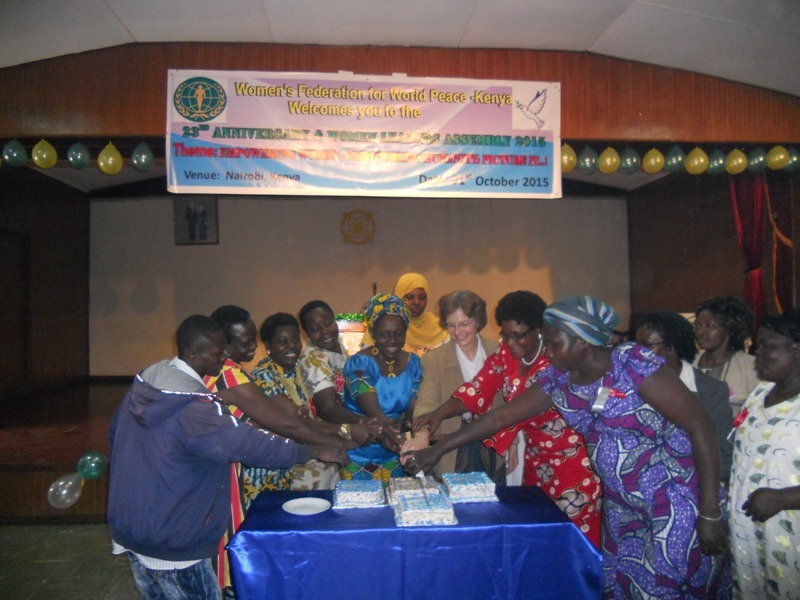 The chief guest was Mrs. Cathrine Hwang the wife of the Eastern African Region Special Emissary Professor Thomas Hwang, gave an inspiring speech expressing True Mother`s heart and the vision for WFWP. Mrs. Susan Kone, the WFWP Kenya chairperson gave a lecture on the Vision and Mission of WFWP, another speaker was an Ambassador for Peace Mrs. Aisha Dafalla the Founder of the Exit Poverty NGO who stressed the need of empowering women from an early age including the civil education and knowing their rights. The Ambassador for Peace Professor Jared Onyari the President of the Africa Institute gave a congratulatory speech and praised the work being undertaken by WFWP on the National Level and International Level. After cake cutting and we had an entertainment done by various groups including a beautiful show by Tongil Moo Do Team which was very much appreciated. The event ended with a vote of thanks given by Rev. 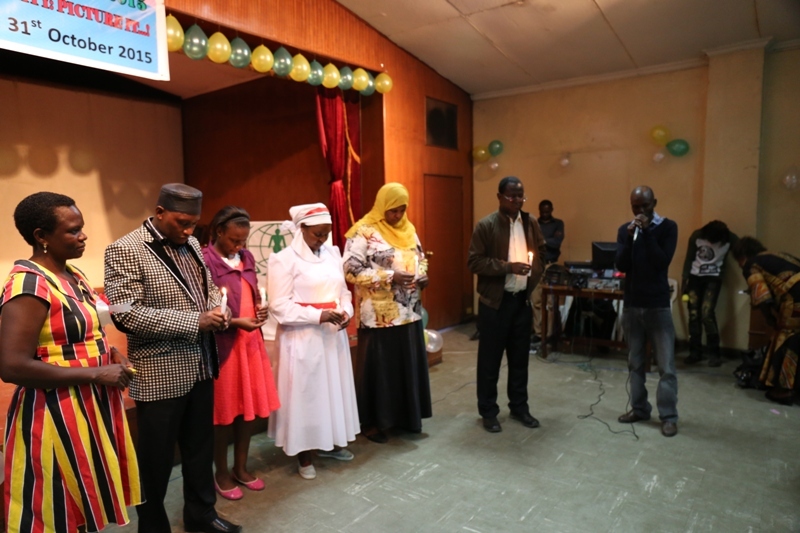 Fred Wakhisi the chairman of UPF Kenya followed by an interfaith prayer for Peace where 7 religious groups were represented. Later we had refreshments where the participants shared and networked with each other. True Parents presence was felt throughout the event and the program ended victoriously with an attendance of 200 people.